In loving memory of Harold William Wingert, of Coleville, Saskatchewan. 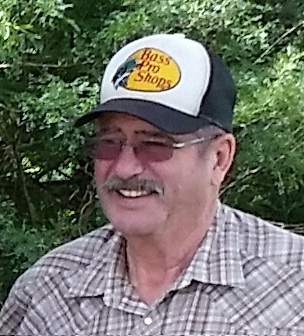 Harold was born September 27, 1948 in Tisdale, SK and passed away January 28, 2019 in Saskatoon, SK. Harold is survived by his wife, Sandra and two daughters; Stephanie (Jason) Forsyth and their daughters; Jade, Rielle, & Teagan. Kimberley (Murray) Harmon and their daughter Reese. Harold's brothers; Robert (Bonnie), Allen (Faye), DeVon (Cheryl), Calvin (Annie), Joe (Sherry), and one sister; Coleen. As well as numerous nieces & nephews. Harold was predeceased by his parents; Karl & Monetta, in-laws; Henry & Fern Bartels, one sister Avonda, and a grandson Joel. As per Harold's wishes, there will be no funeral service.